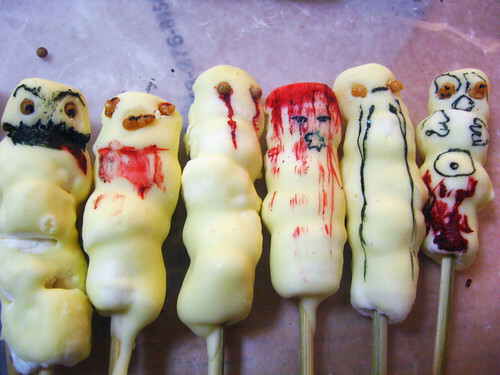 Goulish Treats to Terrify: Take Our Halloween Treats Baking Class! Halloween Bootcamp: Saturday, October 16th 12 – 3 p.m.
Don’t be boring. Halloween is one of the only days a year, where we get to get totally, flamboyantly inappropriate! Our Halloween Boot-camp class will make sure you serve the most gruesome grub and terrorific treats to taunt and tantalize all your party guests and/or make you the hit of your kid’s classroom. 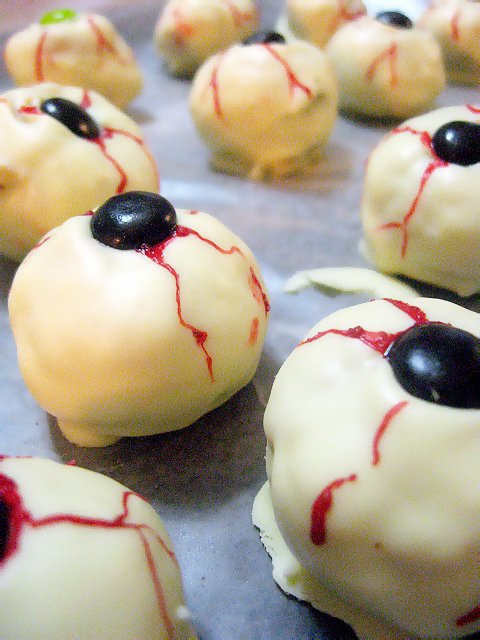 For this class, we’ll be baking up our Halloween favorites including Crunchy Eyeball bars, Witch’s Finger Cookies, as well as going over a few more of our past fearsome formulas including our Dexter Blood Slides and Ghosts on a Stick. This will be an intimate event: the class only has four spots open and we’ll make three or four different kinds of treats. Aprons, ingredients and kitchen tools will be supplied. You won’t need to bring anything other then a goulish desire to have some fearsome fun! Each guest will go home with a mixed bag of a dozen homemade Halloween treats. We want you to just relax and have fun hanging out while you learn. Register your spot today! Space is VERY limited! 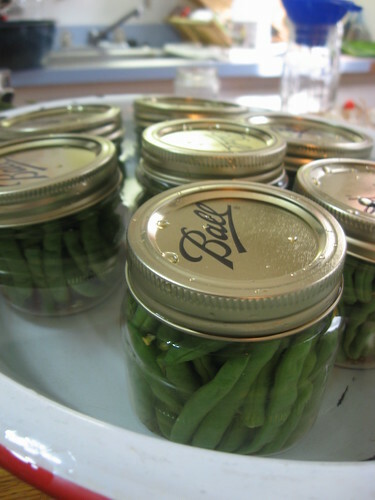 Beginners Guide to Canning and Preserving: Saturday, Sept. 11 12 – 4 p.m. Reserve your spot today! We all want to eat the best quality organic foods, but its not always affordable. Canning is a great way to make the most of basement bargain prices on organic and high quality produce during the harvest season and make it last year round. When you can your own foods, you can guarantee you won’t be eating foods stuffed with preservatives and gross additives. Are you intimidated of the process? Think you need all kinds of fancy equipment? Well, here’s your chance to learn this simple process in a stress-free environment. Our intro canning course will give you all the info and experience to help build your confidence to start your own kitchen cannery. Reserve your spot today! Canning is a hot and steamy process, so wear light, cool clothing. Although canning is very easy to do at home, there are a few safety precautions necessary. This class will be mostly a demonstration course, however, we will have a few hands-on sections to give you the feel of the tools and techniques. We always maintain small class sizes to create a casual welcoming social environment. We want you to just relax and have fun hanging out while you learn. Register your spot today! Space is VERY limited! Contact us with questions or for more class information! 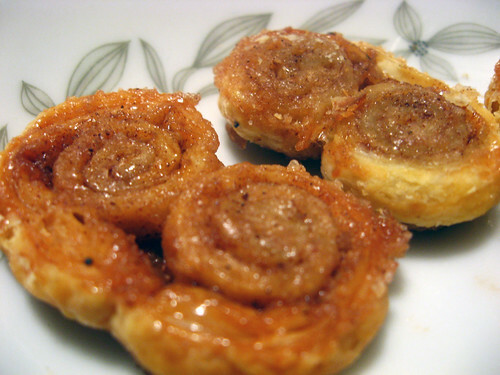 Conquer The Kitchen : Take Our Cooking Classes! Do you love food, but break out in cold sweats the minute you enter the kitchen? Do you hide the fact from your other foodie friends that you can’t make anything more complicated then toast? Fear no more! 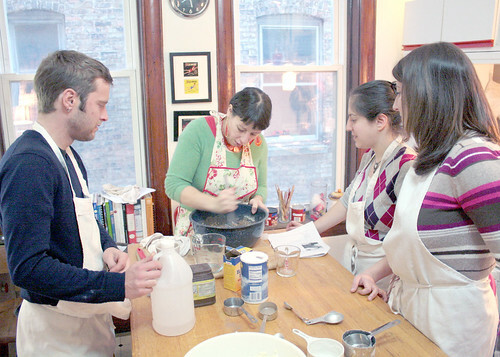 Forkable is launching a new series of monthly cooking classes targeted to help the helpless find their way through the kitchen of doubt to the table of delicious and fun home made foods. No matter what the fancy-schmancy restaurants might make you think, cooking is not rocket science. Its just mixing a few things together and possibly adding heat. 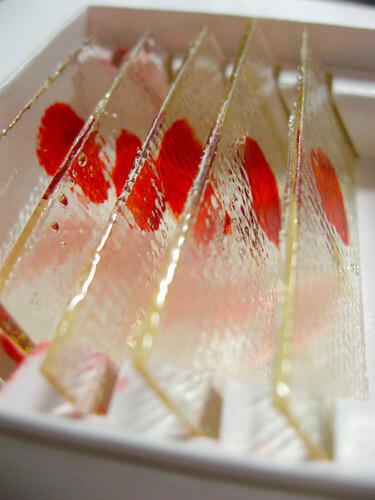 Our classes are all about bringing food prep back to the people – taking snobbery (and fear!) out of the kitchen. “I don’t bake much, but I’d like to do more, and this was the perfect no-stress way to get me excited about it. We felt totally at home in the cozy red and white kitchen, and the recipes were indeed easy but so yummy!” -Bengi speaking of our Christmas cookie class. We have a really down-top-earth approach to food and entertaining. Our specialty is making good food on tight budgets so you don’t need to be made of money to enjoy our style (although it certainly doesn’t hurt!) Our straight forward approach is taught in an intimate setting of a real kitchen, with a class limit of five persons to allow for as much personal attention as possible. I love to cook and I want you to love it, too. “Great class! Extremely informative and well organized with some good company and delicious results” -Mike M.
So, if you can’t stand the heat, come to my kitchen! Check out our calender of upcoming classes! 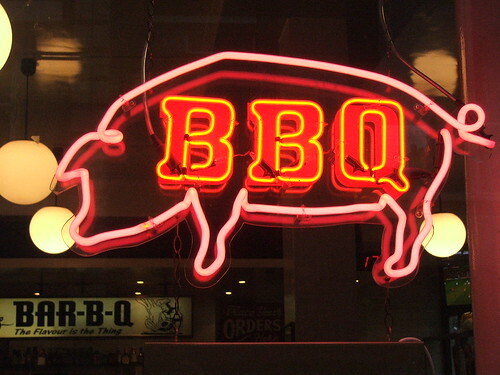 Forkable’s Kick-Start the Summer Fun BBQ Dinner! Summer is almost here, and we’re getting revved up! There’s nothing like a good afternoon BBQ to get the summer fun started! We’re excited to announce, after a long winter, we’re bringing our Forkable Events out of its long hibernation and hosting another dinner! We’re laying out the red and white checker table cloth on the picnic table and getting ready for some BBQ! Thursday, May 27th 7 p.m. – 10 p.m.
Open Seating, NO Pre-Reservations required! Dinner will be served buffet style and include Plum Mustard BBQ Pulled Pork, Cole Slaw, Corn Bread and a delicious dinner of Peach Cobbler. Hey Vegetarians- don’t think we’ve forgotten you! BBQ Seitan will be a deliciously available alternative. I know in the past our dinners have required pre-registration online, but not this time! THIS DINNER REQUIRES NOTHING FROM YOU! We’re serving this supper club in a buffet style, so you can come whenever you want during 7-1o window. Just bring some cash and a desire to eat! We’ll take care of the rest. As I’ll be 9 months pregnant, this will be our last event pre-baby. Along with the fun of the food, you can also poke fun at how rotund I look! So come on by and celebrate the kick start of the summer with us! All proceeds from this event, go to benefit our Dutch Family Bike fund! Nothing puts me in the holiday spirit more than starting my holiday baking. Forkable’s Annual Holiday Christmas Party is one of the highlights of the year, due in part to the 10+ varieties of cookies and candies we serve. Forkable’s Festive Christmas Cookie Cooking Class! Saturday, December 5. 12 p.m. – 4 p.m. If you’d like get in the holiday mood with some sprinkles and spice, bone up on some cookie skills or just have fun baking with a great group of like-minded foodsters, here’s your chance! Each guest will go home with a mixed bag of a dozen homemade cookies. Here’s last year’s cookie list for some inspiration! Reserve your spot today because space is VERY limited! Come celebrate the launch of our new site in true Forkable style with food, friends and lots of drinks! WHEN: Thursday, October 8. 7-10 p.m.
WHAT: FREE FOOD! $2 Whiskey; $2 Beer Specials! That’s right, you heard me right: FREE FOOD! I’ll be cookin up recipes from our most popular posts including Jalapeno Poppers, Cheesy Onion Casserole, and the vegan favorite: BBQ SEITAN! among others. RSVP by email please, so I can make enough food! Be there or be square! No excuses* Free food, $2 whiskey. What more could you ever want??? *Unless you live in another region. We’re not available to accept excuses from anyone in the Great Lakes Region (Illinois, Indiana, Wisconsin, and Michigan).